Windows play an important role by allowing natural sunlight into your home as well as facilitating ventilation. 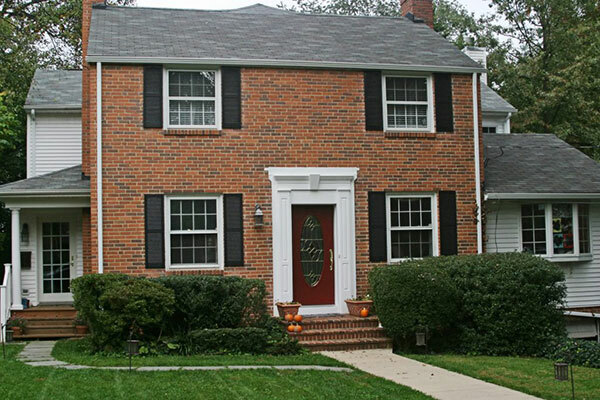 Replacement windows can also increase property value and enhance your home’s curb appeal. With over a decade of experience, Atlas Construction installs custom-fit, energy-efficient windows that add beauty and elegance while improving home performance. A window replacement project is a great way to improve your home’s energy efficiency. With our collection of energy-efficient windows, Atlas Construction can help you save up to 20 percent on your current utility bill. We’re passionate about providing our customers’ energy- and money-saving home solutions. For example, the new triple pane window is 22 percent more energy-efficient that common double-pane windows seen today. Atlas Construction offers a wide selection of different window styles and sizes to choose from. Each window is custom-made to fit perfectly into your opening. All of our windows are manufactured from a virgin vinyl which has never been recycled. Recycled vinyl is weakened and cannot withstand the weight of the glass – which then causes the window to fail. As a result, the seal can break, allowing argon gas to escape and compromise insulation. Ask one of our window specialists about the benefits of each of the selected styles, as well as the best energy-efficient windows to insulate your home and help you save money on heating and cooling costs! If your windows are old, drafty or broken, contact Atlas Construction about window replacement. Our professionals are happy to walk you through our window selection to help you find the right style for your home. Call (828) 544-1110 or fill out our online form for your no-obligation consultation.